Holiday Marketing with SnapRetail’s Winter Workshop! Cue the jingle bells! 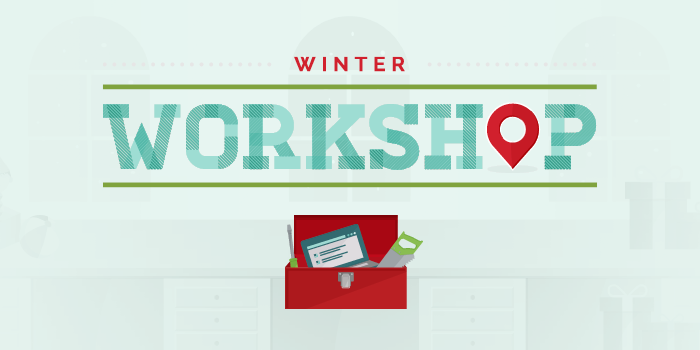 Our Winter Workshop for 2015 is almost here! You can stock great products and plan exciting sales, but without a marketing strategy your customers likely won’t know about them! You didn’t start your small business because of your love for online marketing, but we did. That’s why we created a Winter Workshop. For three weeks, our experts share the best webinars, guides, and downloads to help you maximize your fourth quarter. The workshop starts Monday, November 9. Don’t wait! Register today.